Wish you all very Happy Christmas!!!! 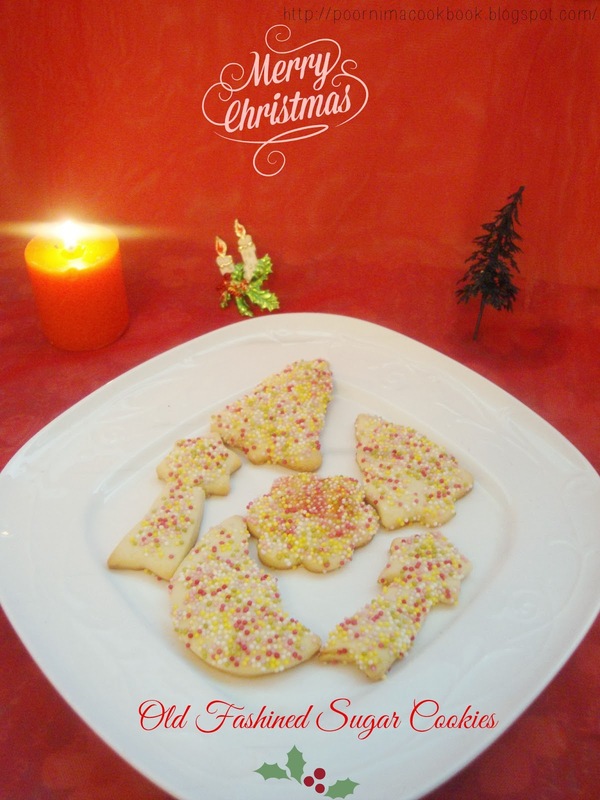 Here is my Old Fashioned Sugar Cookies for December month's Home Baker's Challenge. This recipe is adapted from food network. 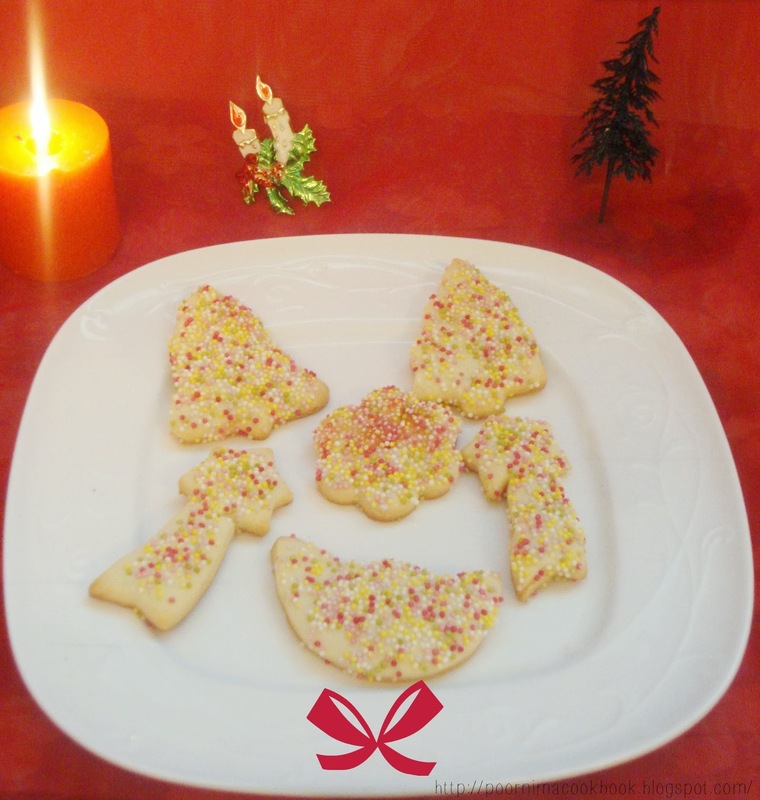 This is a perfect sweet treat to celebrate Christmas; we all especially my kids love these delicious snack! Thanks to Priya Suresh for starting the group and Priya Ranjit for hosting this month's challenge. To know more about Home Baker's Challenge click here. This is my second recipe from Christmas bakes; special thanks to Priya Ranjit for suggesting yummy recipes. In large bowl, beat butter and sugar on medium speed with beater until creamy. Add eggs and vanilla; beat well. In a separate bowl; add the flour, baking powder and salt. Mix well. Add flour mixture to the butter mixture and mix to form soft dough. Cover and chill the dough for 3 to 4 hours. Roll out the dough and cut into shapes with cookie cutters or a knife. Brush with milk and sprinkle with colored sugar / sprinkles. Place cookies in the baking tray (I usually bake cookies in an un-greased tray as the cookies have enough butter or oil in it). Bake at 180 deg. C (temperature may vary for different ovens) for 10 to 12 minutes, in the preheated oven or until the edges turn slightly brown. Baking time will vary depending on the size and thickness of the cookies. U have prepared this cookies in a way to attract kids. Looks so yummy and delicious.